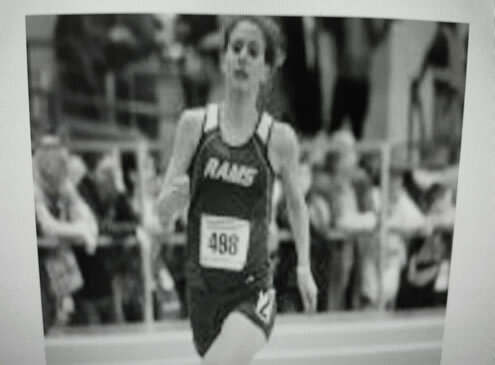 On February 28, 2016, Raymond High School sophomore Anna Harmon competed at the New England Indoor Track and Field Championships at the Reggie Lewis Track Facility at Northeastern University. Anna placed 9th in the 1000-meters with a time of 3:00.98. It was the highest finish ever by a Raymond High School girl at the Indoor New England Championships. Show me a guy who’s afraid to look bad, and I’ll show you a guy you can beat every time. If you can’t accept losing, you can’t win. You are never a loser until you quit trying.